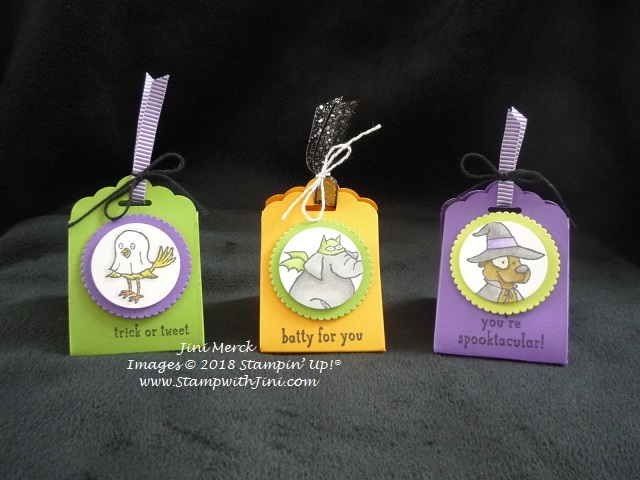 I love to make little treat items for family and friends and so when I saw the Trick or Tweets stamp set in the Holiday Catalog I knew it would be perfect for this year’s Halloween treats. 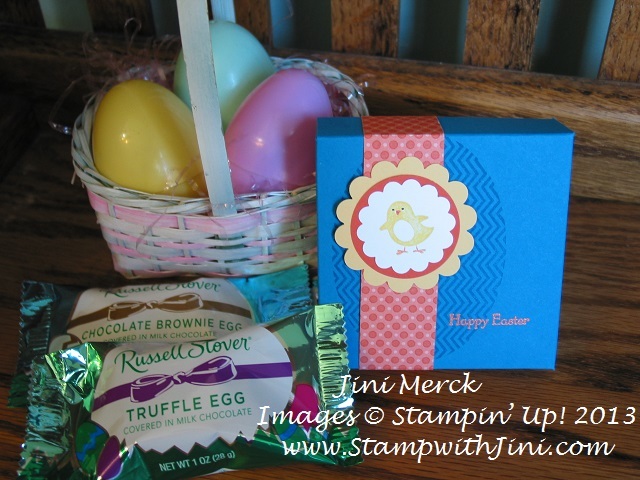 My fellow stamper, Pam gave this cute little box idea last spring and so I wanted to give it a try myself. Turns out these little boxes are sooooo easy to make, that they are kind of addictive once you get going. Or at least I couldn’t stop – LOL! 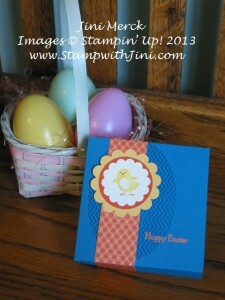 The images and color combinations were just a lot of fun to play with once I got coloring with my Stampin’ Blends. I thought you might like to try some too for your treats so I’ve whipped up a quick video tutorial. And of course I’ve included a complete supply list on my PDF tutorial for you. Why not leave me a comment and let me know which combination is your favorite? And why not stop back by tomorrow when I’ll be sharing another fun little treat box with you? Live local and want to stamp with me? Why not check out my upcoming Calendar of Events? Last week my team and I gathered for our monthly team meeting. 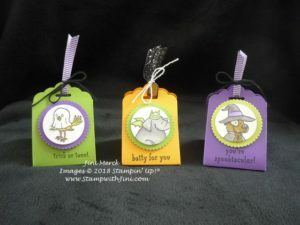 I really enjoy this time sharing and stamping together, so today I thought I’d share some of the team swaps with you. I also love seeing the projects that everyone chooses to make for their swaps – it’s always fun to see what they create and share! 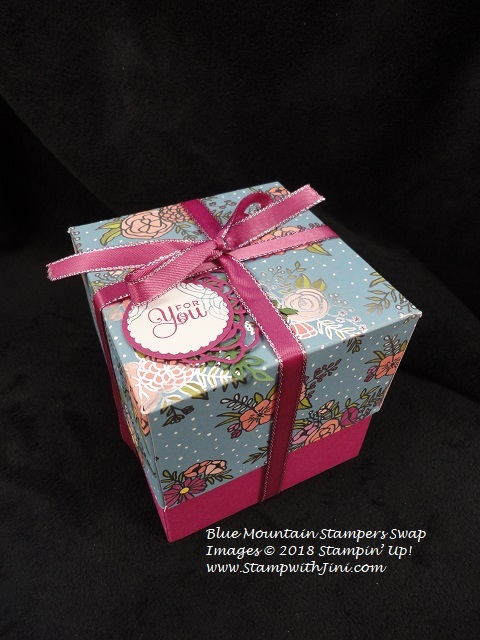 This first item is a beautiful box made with the Cake Soiree Suite of products – and since the Sweet Soiree Designer Series Specialty Paper (145564) is a bit heavier, it’s perfect for this kind of thing. Beautiful, right? Deborah used the Cake Soiree Bundle (145816/147627) to create the tag. And color coordination was made easy since the suite includes a coordinating Card stock Pack (145565) that contains 3 colors from the Designer Series Paper. Love the ribbon? Berry Burst (145489) is one of my favorite In Colors and this ribbon with it’s silver edge is perfect for this bundle! 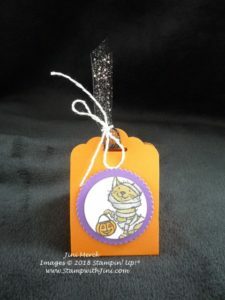 And here is another treat item that Sue made using the Perennial Birthday stamp set (145757/145760). 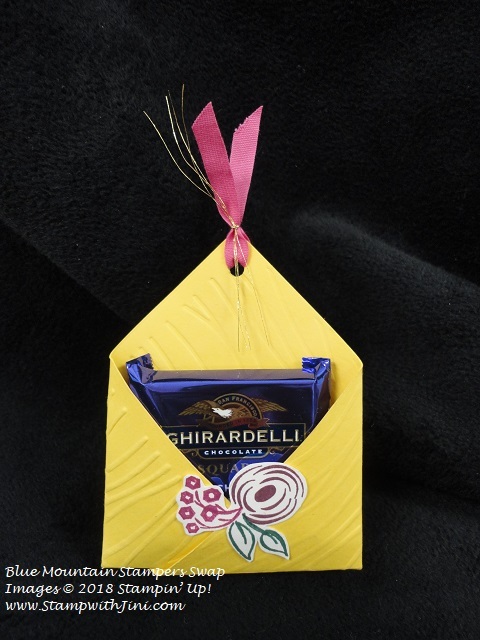 It has two pockets that she has tucked a Dark Chocolate Blueberry Ghiradelli square into – can’t wait to try them! And how about this cute little note card? Like the projects? I can’t pick a favorite. I’m so lucky to have this talented group who love crafting, sharing, and learning new things! Are you looking for a group to craft with? Or have you ever thought about joining Stampin’ Up! and getting a discount on your crafting supplies? 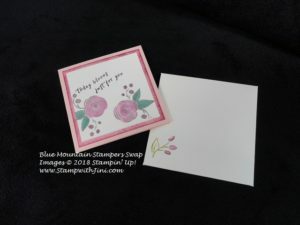 Why not join my team, The Blue Mountain Stampers? And Sale-a-bration is a GREAT time to join since you’ll get not only a fantastic starter kit for just $99 you’ll also receive 2 FREE stamp sets of your choice! What could be better? Don’t forget to stop back by tomorrow when I’ll be sharing a tutorial for my March Thank You cards. I made this cute little treat box using the Spring Sampler Stamp Set (item 125510/125512). I knew when I saw this set in the Spring Catalog I just had to have it – it’s so me. I could picture making quick and easy treats for all kinds of occasions. I think the images in the Spring Sampler Stamp Set are just too cute! How about you? Here is the Treat Box we made as a project during my March Blue Mountain Stampers meeting. We had a lot of fun thinking of different things (mostly chocolate) that we could put in the box. This time we filled them with these yummy eggs (They come in all kinds of flavors and remind me of those I got as a child.) Shhh… don’t tell my family. They’ll be finding theirs in their rooms Easter morning. I think my hubby will love the cookie dough egg I picked out for him! We had so much fun making these quick and easy Treat boxes I thought you’d enjoy making them too for your friends and family. So why not check out my new video below – Spring Sampler Treat Box. 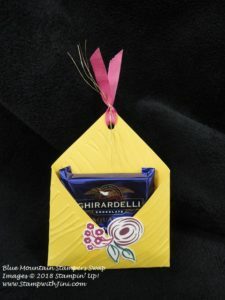 Want to see my Valentine Treat Boxes? Click HERE to see my earlier post. You can also click HERE to see the treats I made using the Spring Sampler set recently using the Petite Pocket Die. Leave me a comment and let me know if you are enjoying my videos and tutorials. Would you like to see them more than every other week? Maybe once a week would be better? I’d love to hear what you think.